The second-generation Arlo Pro comes with higher resolution, improved motion detection, and more flexible installation options. The Netgear Arlo Pro 2 is Techhive's best indoor security camera of 2017 and it works outdoors! Here's why we like it. Just a year after introducing the Arlo Pro, Netgear has refined the popular indoor/outdoor home security camera. The Arlo Pro 2 adds higher resolution, improved motion detection, and more flexible installation options to an already impressive list of features. The Arlo Pro 2 features Full HD 1080p resolution, up from 720p, putting it on a par with other Netgear security cameras including the indoor Arlo Q and Arlo Baby nursery monitor. It also now includes AC power support in addition to its 2440mAh rechargeable battery. The added power gained from plugging the camera in allows you to take advantage of video analytics-driven motion detection that offers greater range and is more accurate than the passive infrared (PIR) motion detection the camera uses on battery power. It also enables the camera’s new motion zone feature, which allows you to be alerted to movement only in specific areas, and a pre-buffer dubbed “look back” that saves three seconds of video footage prior to the activity that triggered motion detection. 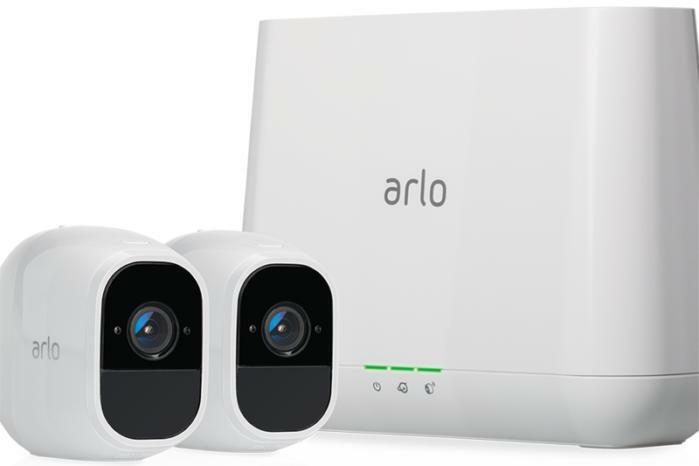 The Arlo Pro 2 can be purchased individually or as part of a multi-camera starter kit. If you opt to use the camera wire-free outdoors, Netgear is offering a new solar panel ($80) that it says can full charge the battery of either Arlo Pro model with a couple of days of sunlight. The Arlo Pro 2 supports smart home integration through IFTTT, Samsung SmartThings, and Amazon Alexa including viewing the camera’s streaming feed on the Fire TV, Echo Show, and Echo Spot. The Arlo Pro 2 is offered in a starter kit with two cameras and a base station for $480. A four-camera bundle is available for $800, and additional individual cameras can be purchased for $220 each. Arlo Pro 2's "armed" mode ruled can be customized to your liking. Like other Arlo cameras, the Pro 2 comes with Arlo’s Basic subscription, which stores video clips for seven days for up to five cameras and includes three months of limited support all for free. You can upgrade to the Premier plan for $10 per month or $100 a year and get 30 days of cloud storage for up to 10 cameras, or the Elite plan for $15 per month or $150 a year and get 60 days of storage for up to 15 cameras. Both paid plans include unlimited support. The setup process for the Pro 2 is exactly the same as its predecessor’s—you plug the base station into your router with the supplied ethernet cable, then press sync buttons on the base station and the camera in succession to pair them. You’ll know they’ve paired successfully when you see the live camera feed in the Arlo companion app. As the Pro 2 retains the modular design of the original Pro, you can place it virtually anywhere—as-is on any tabletop surface, or on a wall or ceiling using either the magnetic or screw mount. The Pro 2’s upgraded resolution delivers sharp images, even when using the 8x digital zoom. The night vision still suffers the same issue it did on the original Pro, though; it promises a range of 25 feet, but in practice, it only illuminates to about half that distance before falling off into shadow. The new camera still offers four modes of operation, accessible from the live streaming screen. 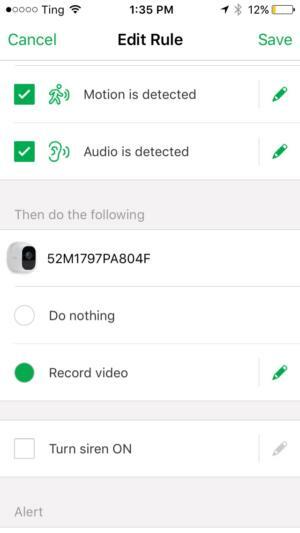 Armed is the default mode and will trigger the Pro 2 to record 10 seconds of video when motion is detected and alert you via push notification. These rules are modifiable, allowing you to make a range of customizations, such as adding audio detection or triggering the base station’s on-board siren when the camera detects movement. Detection sensitivities and video recording length are also adjustable. Arlo Pro 2's new motion zone feature reduces false alerts but can only be used when the camera is plugged into AC power. The other three modes—Schedule, Geofencing, and Disarm—automatically arm the camera based on time or your location or turn off detection altogether. You can create your own modes, too, using in-app prompts and assigning them to specific cameras. 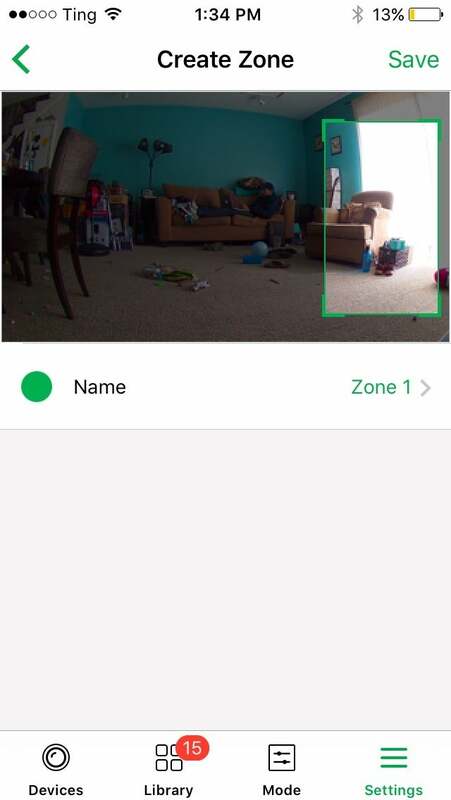 The new motion zone feature is a welcome addition to the Arlo app, as it helps fine-tune the accuracy of detection alerts. You can create up to three zones by placing a bounding box over the parts of the room you want to monitor, such as doors and windows. The camera will alert you only to activity in those areas and ignore it in others—so, for example, the front door opening would trigger a notification, but your cat jumping on the kitchen counter would not. The only downside is the camera must be plugged into a power outlet to enable this feature. I used the Arlo Pro 2 with an Amazon Echo Show. The voice command options are fairly limited, though. You can ask Alexa to show or hide the camera's stream or to stop whatever you're doing and return to the Echo Show home screen. There are far more actions you can take with IFTTT, like having the camera turn on your Phillips Hue lights or call your phone when it detects motion. Where the Arlo Pro marked a dramatic improvement of the original Arlo HD, The Arlo Pro 2 simply polishes what was already an exceptional camera. With Its unique indoor/outdoor flexibility and easy-to-use companion app now complemented by even better detection capabilities, the Arlo Pro 2 is heartily recommended for anyone looking for a do-it-yourself security solution.